The non-surgical nose jobs an advanced technique offered at Castleknock Cosmetic Clinic Dublin since 2007. It is an exciting alternative to patients interested in improving the shape of their nose without having to undergo the knife. The benefits of the non-surgical nose job or rhinoplasty without surgery at the Dublin based Castleknock Cosmetic Clinic are nearly immediate results, quicker healing time, and little or no pain. A non surgical nose reshaping job involves using injectables such toxin injections or dermal fillers, Radiesse or Restylane, Juvederm and Ellansé to shape and contour the nose. This is a relatively painless non surgical rhinoplasty procedure that can be performed in just minutes. Due to the complexity of blood vessels overlying the nose, the delicate procedure requires advanced anatomy knowledge and experienced injection techniques. The chosen dermal filler is injected into predetermined areas of the nose to help smooth out humps and bumps. Some patients are afraid it will make their nose look bigger, but, on the contrary, the instant nose job simply evens out the nose giving it that smooth outline. A nose job without surgery is an excellent option for patients who want a non-invasive, non-surgical procedure and who are looking for fast, satisfying results. Unfortunately, those with major nasal deformities and those who are looking to significantly reduce the size of their nose are not candidates for the non-invasive nose job. For these patients, traditional surgical rhinoplasty is necessary. Non-surgical rhinoplasty avoids the risks of surgery and has no effect on nasal breathing since it involves only injection into the skin. The procedure is much more precise than surgical rhinoplasty, so more detailed adjustments to nasal contour are possible. During the procedure, you are fully awake. You hold a mirror and you are in complete control of the procedure’s results. The non surgical rhinoplasty (nose job) procedure does not cause nosebleeds or persistent swelling. There is usually no long term scarring complications. After having the procedure done at Castleknock Cosmetic Clinic , Dublin or one of the branches nationwide,ost patients return to work on the same day as the procedure. The final result is immediate. There is usually a need for a touch up in about two years. Best of all, the cost is 1/20th of traditional rhinoplasty. We also recommend non surgical approach for a lot of patients suffering from poor result of their first nose surgery. 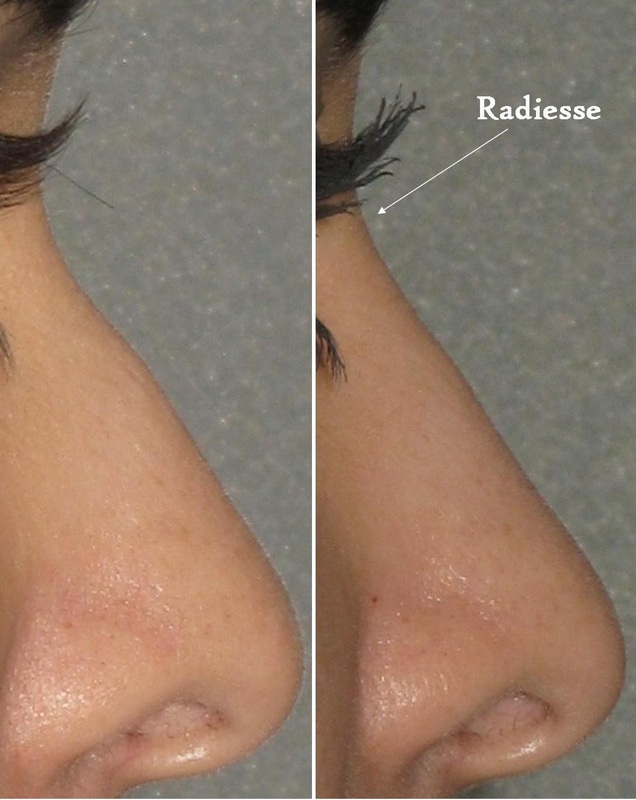 In some cases, result from injection rhinoplasty supersedes any revision nose surgery. Give us a call today! to schedule your 15 minute nose job! Non-surgical rhinoplasty is a great alternative to traditional rhinoplasty for patients who are looking for a non-invasive procedure. This procedure is relatively pain-free and most patients are able to return to work the same day that the surgery is performed. Please view our before and after gallery above to see the wonderful results that can be obtained from this non-surgical procedure, and watch our three-part video series that further details the procedure. If you’ve always wanted to give your nose a different look, but didn’t want to undergo traditional rhinoplasty, this procedure is for you!